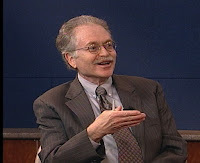 Harry Kreisler Reflects on 28 Years of "Conversations with History"
We're proud of UCTV's ten years, but we've got nothing on Harry Kreisler, host of "Conversations with History." Harry's conducted 485 interviews over the series' 28 years of production on the UC Berkeley campus, and he's recently released a book featuring some of his most fascinating interviews. The series is extremely popular with UCTV viewers, so we thought it was time to turn the tables and ask him a few questions. How did "Conversations with History" (CWH) first come about? As executive director of the Institute of International Studies, I hosted a luncheon seminar on the nuclear arms race for Berkeley faculty in the early 1980s. In attendance were four Nobel laureates, a former U.S. ambassador to the Comprehensive Test Ban talks, and many other distinguished scientists and social scientists. The discussion was lively and more informed than anything I had seen or heard in media on a very important issue. I felt frustrated that, as a public university, we were not making this conversation available to the public. So I worked with campus media services to develop an interview format for the many distinguished visitors that come to the UC Berkeley campus. 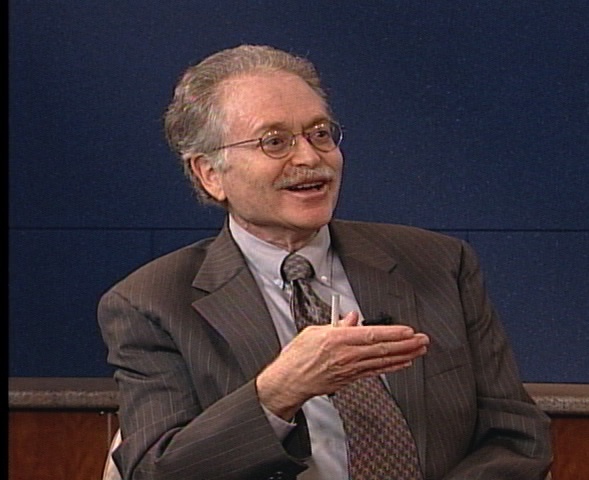 We taped the first interview on April 5, 1982 with Manfred Lahnstein, a senior advisor to the Chancellor of West Germany, and began sharing the tapes with local cable access channels across the state. When UCTV went on the air in 2000, we expanded our audience nationally and, a few years later, globally via the web. What are some of your most memorable interview moments? I spend a great deal of time preparing for interviews and learning about each guest. For many guests, my familiarity with their work makes them more comfortable and creates a more natural and informative conversation. A good example is my interview with Oliver Stone. At first he was guarded and distracted, but once he realized I was prepared and had watched all of his movies, his demeanor changed and I was able to zero in on the impact his service in the Vietnam War had on his art. I interviewed Elizabeth Warren a year or two before the financial collapse. A Harvard Law professor, she had been working on the economic distress of the middle class. I was terribly impressed with her insights and with her background; she is the daughter of parents who experienced the Great Depression first hand in Oklahoma. When the financial crisis hit, she became an important figure in the fight against the practices of the banks and credit cards companies and was named chairperson of the Congressional commission to investigate the bank bail out. In 2008 I interviewed Allan Hamilton, former chairman of the Surgery Department of the University of Arizona Medical School. He wrote a book on how science often couldn’t explain the recovery of his patients. In the course of preparing for the interview, I noted that, as an undergraduate, he had taken a writing course with Rod Serling of "The Twilight Zone." Many of the stories in his book were almost mystical and dealt with the supernatural. When I asked him if that undergraduate course had made him sensitive to these issues. he was taken aback because he had never made the connection in his own mind. Immediately after the interview, he called his wife to tell her about the insight into his intellectual odyssey—a connection that that hadn't been in his consciousness while writing the book. Kenzaburo Oe is a Japanese Nobel Laureate in Literature I interviewed in 2000. His major novel draws on his experience with the birth of his brain damaged son. In preparing for the interview, I realized that he had been heavily influenced by a visit to Hiroshima around the time of his child’s birth. The discussion of this connection in the interview provoked an unbelievably moving account of his decision about the survival of his son and his son's emergence as an outstanding composer. In 2007 I interviewed Kenneth Kaunda, one of the great leaders of the African liberation struggle and the first black President of Zambia. We traced the influence of religion on his rise as a political and national leader and I was really taken by his concern for his own people, but also humanity in general. His description of how his love of God made him a better political leader was quite moving and came from the heart. Daniel Ellsberg is a hero for the 1960s generation. In our 1998 conversation, we discussed in detail his decision to leak the Pentagon papers, an extraordinary heroic act that set in motion a series of events that brought down President Nixon. I was terribly impressed with how our dialogue captured the essence of his story: rigorous analysis of the constraints on presidents as as they waged the Vietnam War, together with a moving appreciation for the human drama of a conscientious objector he had met whose example of resistance led Ellsberg to make the decision to give up his career as one of the President’s men and take the path of Resistance, thereby changing the course of American history. When I travel in the state, in other parts of the U.S. or globally (China or Europe, for example), I run into people who know the program and watch me regularly on YouTube or via podcast, and I get fan letters from all over the globe. UCTV has done an unbelievable job of expanding to new platforms as new technologies have emerged. It is really mind boggling to be appreciated both locally and globally. 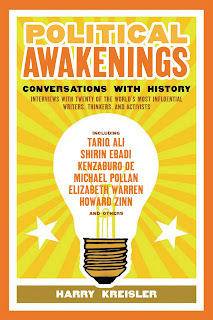 Tell us about your new book, "Conversations with History: Political Awakenings." I collected 20 of the most fascinating interviews from the archive. 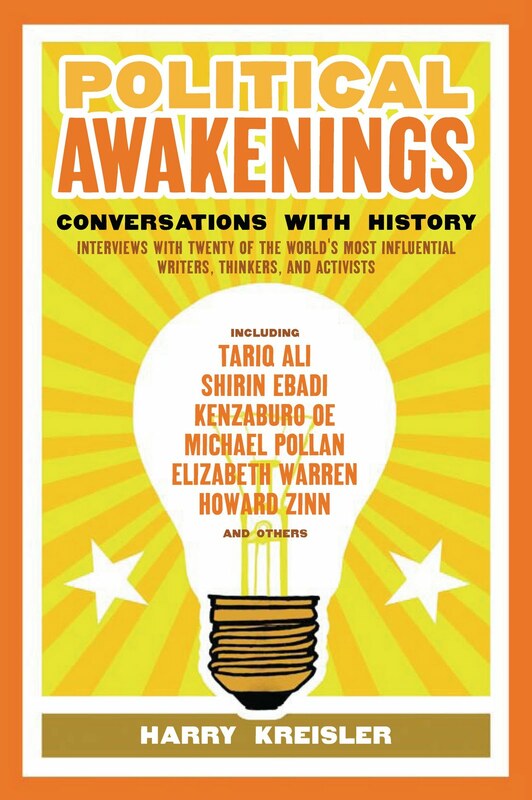 My editor suggested the title “Political Awakenings” and I ran with that idea. As I played with the concept, I realized that the interviewees stand out because they came to see their world in a radically different way, with important implications for The World. They embraced ideas and actions that implied an alternative way of perceiving politics. In this context, politics means more than party affiliation; it refers to an understanding of power relations. They applied these insights in a variety of arenas, whether world affairs, the role of women in society, the impact on the environment of human behavior. In their own lives, the insights of these guests didn’t just happen but were the consequences of life experiences that helped clarify the way things held together—moments of political awakening. Invariably, because of the interface between past and present, because of the limits and opportunities of their profession, or because of the interaction of different worlds, my guests were positioned to imagine alternatives to the conventional wisdom. A new way of seeing emerged in their thinking, in their writing, in their activism; with courage, perseverance, and determination, they took their ideas to a broader audience. In so doing, their world and the Politics of their World were changed forever. The interviewees in the collection are: Tariq Ali (2003), Noam Chomsky (2002), Ron Dellums (2000), Oronto Douglas (2003), Shirin Ebadi (2006), Daniel Ellsberg (1998), Roya Hakakian (2009), Eva Harris (2001), Amira Hass (2003), Chalmers Johnson (2007), Jane Mayer (2008), Kenzaburo Oe (2000), Michael Pollan (2008), Ahmed Rashid (2002), Albie Sachs (1998), Philippe Sands (2008), Oliver Stone (1997), Joan Wallach Scott (2009), Elizabeth Warren (2007), and Howard Zinn (2001). What have you learned from your 28 years of interviewing the smartest individuals in the world? I've learned the importance of seeing problems from diverse perspectives, especially thinking beyond the confines of nationality in order to appreciate the responsibilities of being a citizen with a global perspective. I have also learned how to appreciate the human condition, that tragedy and evil do exist in the world. Nonetheless, individuals can make a difference through perseverance, hard work, and creative thinking. They can change the world. Oh yes, I have also learned how important luck is in all our lives.